that they have a centrally situated cockpit. Speaking about comfort, this brings several advantages. The centrally positioned cockpit provides sufficient headroom throughout the entire ship: You won’t have to stoop while moving safely anywhere inside. You’ll also have clear vision all around you – in other words, more safety and cruising pleasure. Another clear plus for cruising comfort. 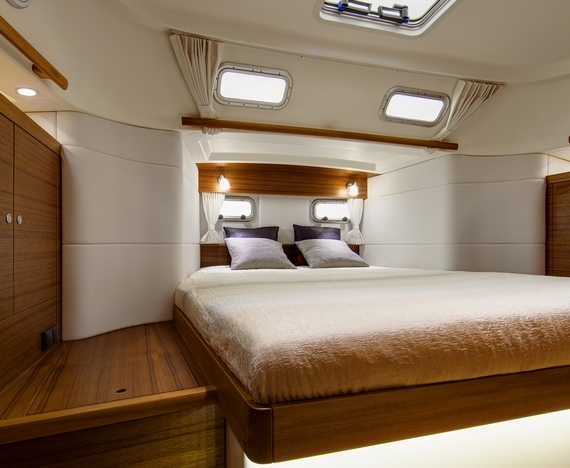 Especially during longer sailing trips you don’t want to miss space and therewith, comfort. You can trust that we at C-Yacht take this into account. 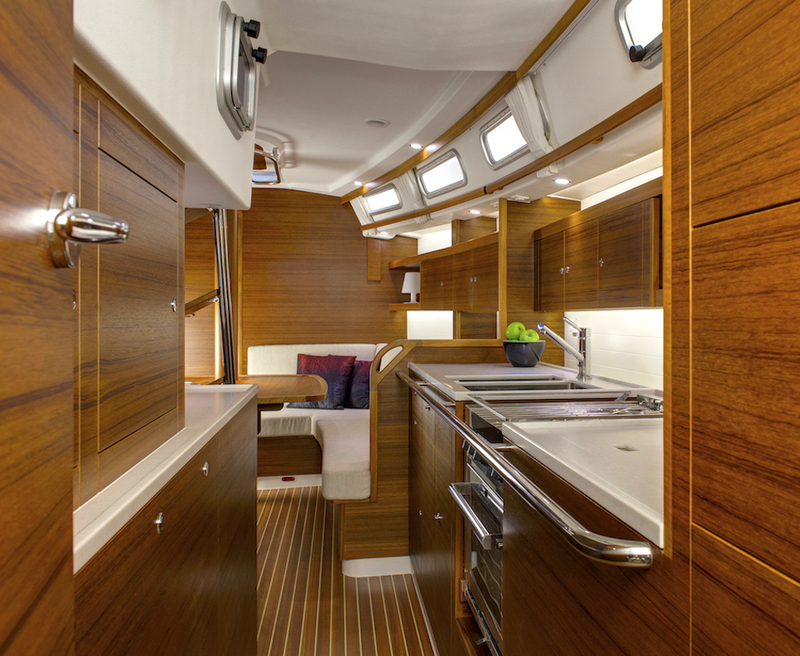 Our center cockpit yachts through their special construction provide abundant space. 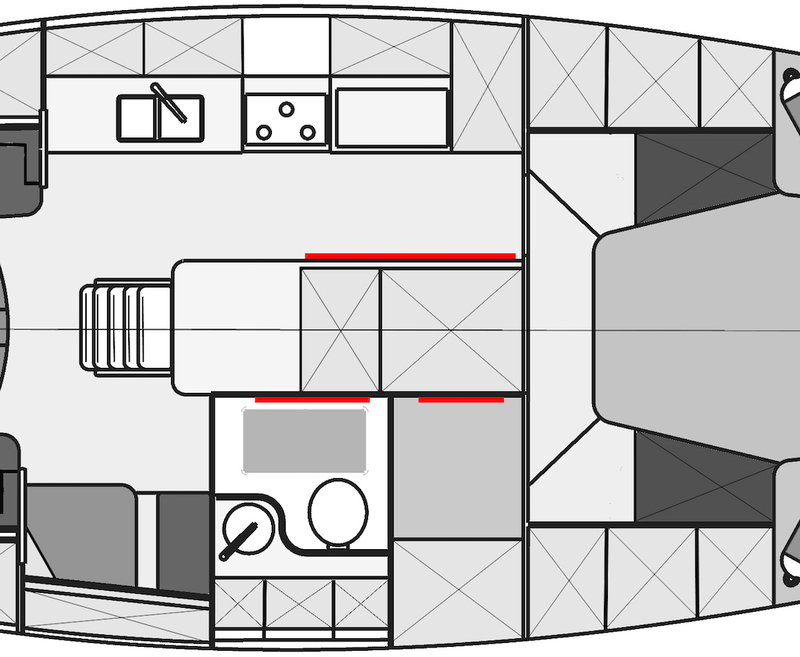 The self-supporting floor of the cockpit allows for much extra space inside the ship, enabling a comfortable living aboard. Also, storage is no problem. 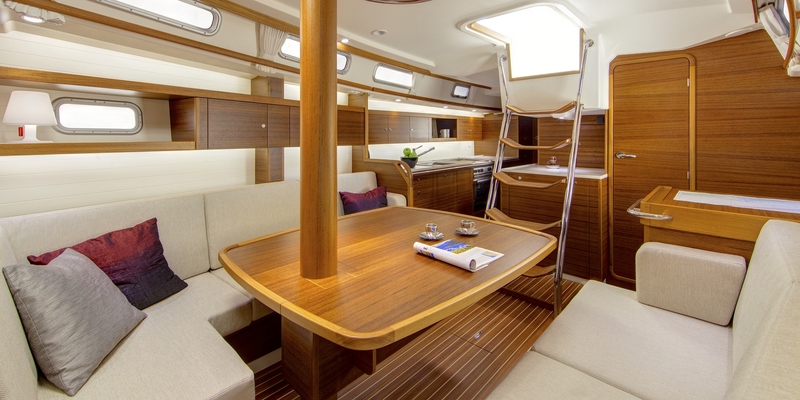 The interior of a C-Yacht features a spacious owner cabin with lots of storage room, too. 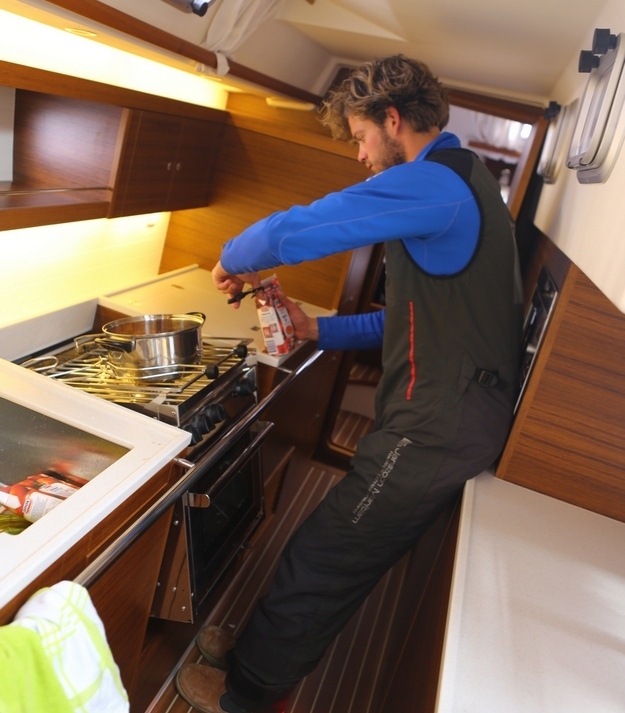 The engine room is big, well insulated and accessible from various locations. The photograph was taken out at sea, near the coast of IJmuiden, during a test cruise. 7 Beaufort, West. ©Yacht Magazine, with friendly permission. The centrally positioned cockpit provides sufficient headroom throughout the entire ship. Would you like to experience the advantages of a center cockpit, too? Have a look at the various C-Yacht sailing yacht models online. Or come to visit us at our harbour, for a chat or a test sail, free of charge. Just get in touch with us to make an appointment.